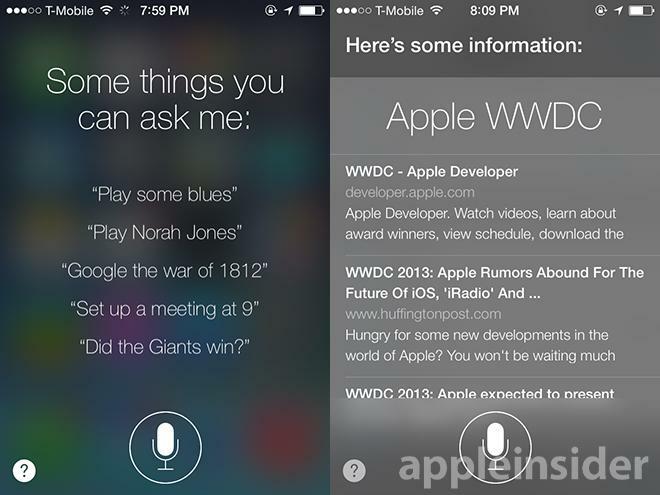 With iOS 7, Apple has not only made its Siri virtual assistant smarter, but has managed to further distance itself from Android maker Google by turning to Microsoft's Bing as the service's default search engine. When Apple's senior vice president of Internet Software and Services Eddy Cue took the stage at WWDC on Monday, he spared no time getting into the enhancements iOS 7 will bring to Siri, including deeper device integration, a wider range of source and, notably, a reliance on Microsoft's Bing. As seen in the screenshots below, as provided by AppleInsider reader Gregg Mojica, Siri's UI and overall feature set will see a huge change when the service is released this fall. 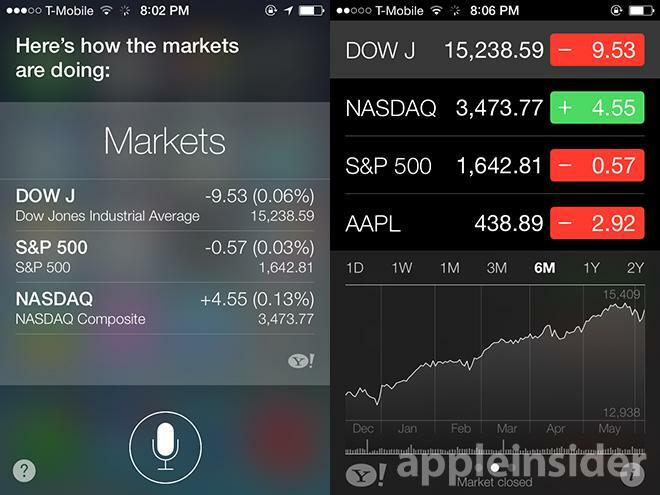 Siri with Bing search (right). A number of Internet services are set to be integrated alongside existing Siri capabilities, including Twitter, Wikipedia and, perhaps most importantly, Bing Web search. Over Siri's lifetime, the service relied only on Google for Internet searches, but in iOS 7, the assistant will pull from Microsoft's servers as default. 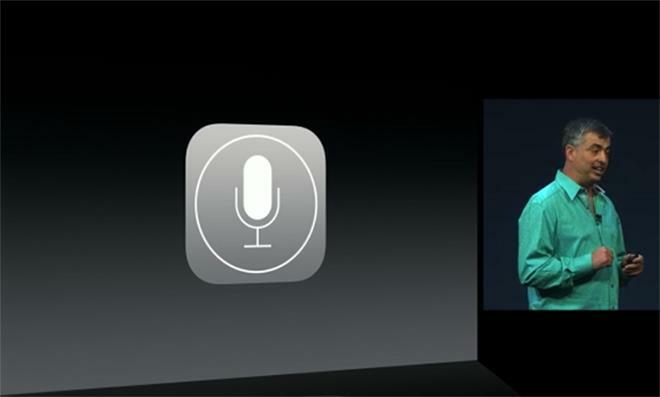 Another feature noted at Apple's event was the substantial changes made to Siri's voice capabilities. When the voice-recognizing assistant first launched in iOS 5, it sounded fairly advanced for the time. However, as the years wore on, Siri's stilted speech and odd inflections didn't change. Google subsequently launched its own mobile virtual assistant, which not only appeared to operate more efficiently, but had a voice that was closer to human. In iOS 7, Siri's voice has been updated, and if Monday's demonstration is any indication, very closely mimics true speech. Apple has also added a male voice option which sounds equally impressive. Cue said the new Siri will rollout with support for English, French, and German, while other languages will move to the updated voice capabilities in the future. Apple has also allowed Siri to access higher functions on certain devices, for example the control of Bluetooth radios and screen brightness. Contextual queries have been improved, with new commands like "Play my last voicemail" added to current offerings. Finally, Cue showed off iOS in the Car, which is heavily reliant on Siri's services. Dictating messages, playing back music, dialing phone numbers and more are accomplished through the service, which Apple dubbed Eyes Free. The hasn't seen wide adoption yet, though the executive noted some 95 percent of cars have some type of support for music playback and control from an iOS device.